It wasn’t that she didn’t want to do it. It wasn’t that she couldn’t do it. Mostly, it was just that no one had ever really given her the chance. And when they did – or maybe because they did – she really did shine. When 12-year-old Keira came to Throwing and Growing – The Myrle Mensey Foundation, the instructors weren’t entirely sure how things were going to turn out. She was a little “rough around the edges,” to put it mildly. It was hard to tell if Keira really wanted to be there, and sometimes, the instructors questioned how long she’d keep coming. But four days a week, there she was. And the instructors could see a light inside her. As the seven-week session went on, Keira’s potential started to shine through. Keira came every day, and took her projects seriously. In sewing class, she threw her heart and soul into learning how to hand stitch and make a homemade pattern. Then, she practiced hard to graduate to the real sewing machine so she could make her own homemade jean skirt and vest. Keira was the first one to race to the garden to pick vegetables – and often the first one to volunteer to try the homemade snacks made from their bounty. When Keira was chosen to model her outfit for the awards ceremony, she must have known this was her chance. 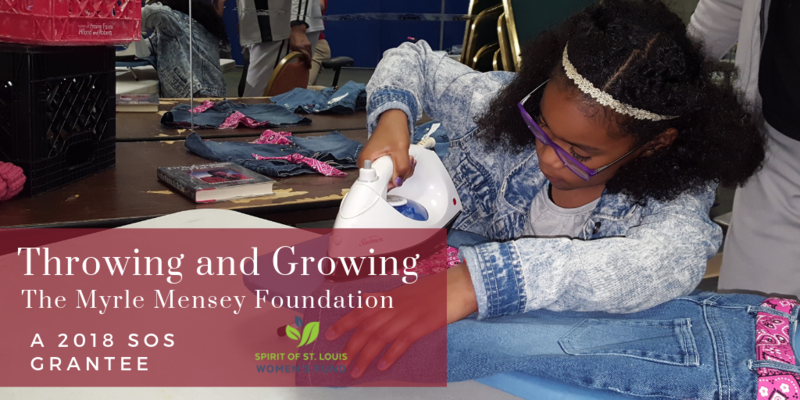 Keira is just one many success stories Mensey has from Throwing and Growing, a 2018 Spirit of St. Louis Women’s Fund grantee. To date, more than 18 young women who have participated in the Foundation’s programs have gone on to receive athletic or academic scholarships. 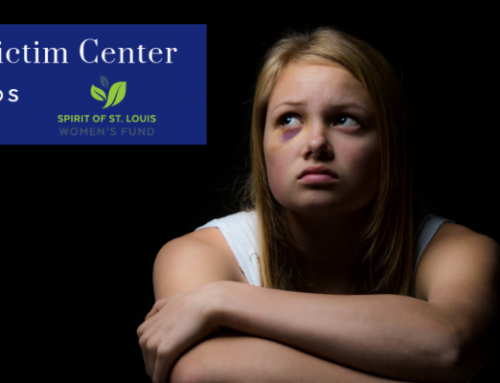 A St. Louis native, Mensey knew childhood obesity and low self-esteem were a growing problem in the community, particularly among girls. As a world-record holder in track and field, she also knew that there were opportunities available in sports that weren’t traditionally thought of for girls – such as shot put, javelin and discus. So with her experience in shot put and other track and field sports, she saw an opportunity to give back. “It started with the mission of trying to give the girls an opportunity to experience things that are non-traditional activities,” Mensey said. She founded Throwing and Growing – The Myrle Mensey Foundation in 2008. 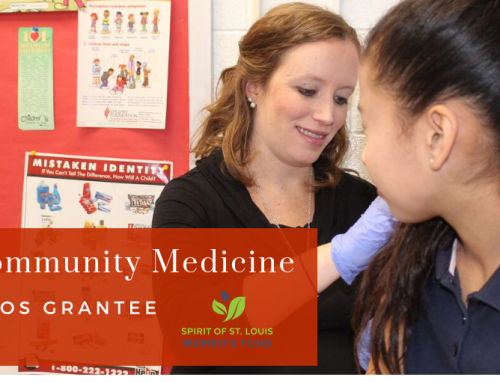 When the organization first started, Mensey operated out of satellite locations – traveling to community centers around the city who wanted her to provide programming to their kids. Mensey put on physical fitness programs and shot put camps at a variety of locations, from the YMCA downtown at 15th and Locust to The Youth and Family Center on Cass. In early 2017, Throwing and Growing began doing programming for St. Matthew Church Lutheran Church on Wren Avenue. Eventually, they worked out an agreement with the church to lease space in the vacant church school building across the street. Today, Throwing and Growing leases classrooms in the former school at 5403 Wren Avenue. 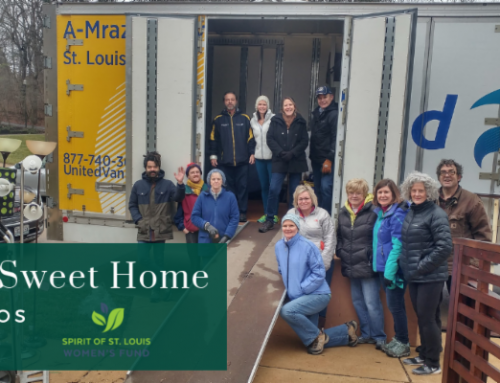 Over the last six months, they’ve been able to expand from two to four rooms, and have done significant improvements – creating a music room, an office, a multi-purpose classroom and workout/fitness space. 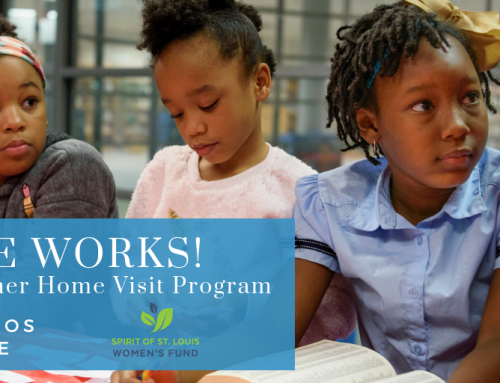 In the free after school and summer programs, the girls participate in more than 15 sessions, from book club and sewing class to arts and crafts and etiquette class. Physical fitness is always mandatory, whether that means hip hop cardio dancing, double Dutch jump roping or track and field training. Then there are lots of extras, from juggling and gardening to college prep and music lessons. The girls range in ages from 8 to 18, with the majority of the after-school attendees coming from the neighborhood surrounding the Foundation. Some of the summer camp participants come from towns much further away – sometimes simply because they have a deep interest in one of the track and field sports, like shot put, discus or javelin. to try a variety of new experiences this summer. From there, the girls worked together to build a raised bed and plant a full garden. The girls weeded and watered the garden all summer, and delighted in picking the fresh vegetables and fruit for their snacks. The SOS grant also provided each girl with a copy of the summer book club choice, “Who Was Maya Angelou?” Each day, they’d read pages together and discuss the book. The Foundation also started music classes with instruments purchased with grant funds. Mensey’s brother, Frank Dunbar, a renowned blues musician, began giving the girls lessons on the instrument of their choice. For the girls, it’s not just about the music lessons, the academic support, the athletic training or the life skills they’re learning – it’s about the personal attention. For Mensey, Throwing and Growing is a way of giving back to the next generations of girls – but it’s also a way to share her knowledge and skills in a sport she loves. Though she’d always been athletically-inclined, Mensey didn’t start her track and field career until she was 50 years old. The year she hit that milestone, the Senior Olympics lowered the participation age from 55 to 50, and she decided to give it a try. Then in 2002, she ruptured her Achilles’ tendon during a 200-yard run. The injury should have kept her from participating in sports for 18 months; she was back at in nine. Today, Mensey holds several world records and has traveled to around the world to compete. Mensey’s biggest fan and strongest supporter was her mother, Daisy Edwards. Every June, the pair would travel together to the Missouri State Senior Games in Columbia, Mo., where Edwards would cheer her daughter on from the sidelines. Then one year, Mensey noticed the shotput record in Edwards’ age group was only nine feet. On the second throw, Mensey gave her a piece of sound advice – grunt when you throw. Edwards, who was 87 at the time, took her daughter’s advice and broke the existing record by more than a foot. For the girls who attend Throwing and Growing Foundation, Edwards was the ultimate role model. Edwards, who remained physically active until shortly before her death, passed away on Oct. 3. On Jan. 3, the building on Wren Avenue was re-named the Throwing and Growing The Daisy B. Edwards “Miss Daisy” Fitness and Educational Center in her honor. One thing Mensey hopes the Foundation can give each girl is a mentor or role model – much in the same way her own mother was a role model to her. “She was so supportive of me,” Mensey said. That’s why Mensey encourages seniors from her church to volunteer their time at the Foundation. She has also applied for Throwing and Growing to be a Silver Sneaker location, a health insurance supported program that allows seniors to work out in their fitness area for free. She hopes that the girls who come to the program and graduate will come back and serve as mentors. The goal for the Foundation is to be open every day – to offer programming on a continuous basis. They’d also like to serve 200 girls a year – roughly double the number of girls they served in 2018. 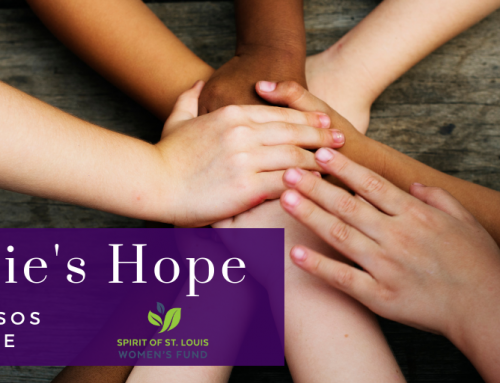 Narrative developed for Spirit of St. Louis Women’s Fund by Bethany Prange of 618 Creative. Photos by Bethany Prange and from Throwing and Growing.